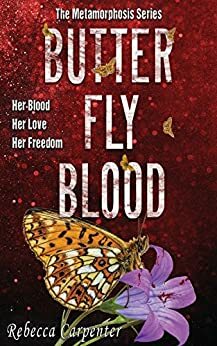 Butterfly Blood takes the reader beyond the same old recycled plots and stereotypical characters found in so many young adult books. The unique storyline ratchets up with each subsequent book in the series. Author, Rebecca Carpenter, continues to weave a fascinating tale that began with Butterfly Bones. Bethany Keatley survives her dangerous metamorphosis, an experimental and illegal procedure that gives her the healthy body and hot looks she’s dreamed of for years. 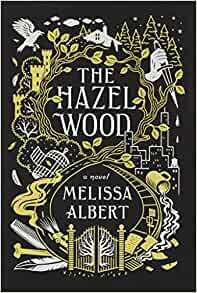 But after the untimely death of her scientist father, she’s forced to move out of state to live with an aunt she’s never met—and leave behind Jeremiah, the boy she loves. 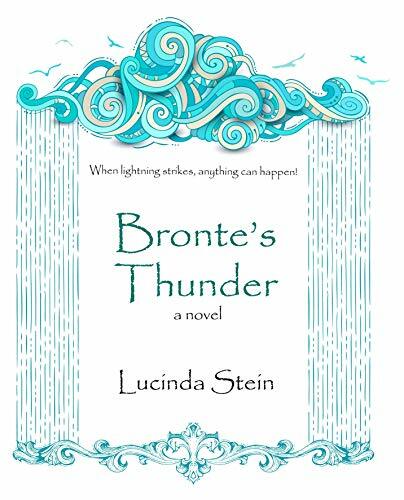 Review by Lucinda Stein, author of the new release, Bronte’s Thunder. Fate can change as quickly as a blink of an eye—-or a flash of lightning! Bronte Monroe has always had strange connections to thunderstorms. But this time, she might lose Nick’s love. York is Book One in Ruby’s The Shadow Cipher series. I ordered this title because I loved the author’s book, Bone Gap, a magical realism story. 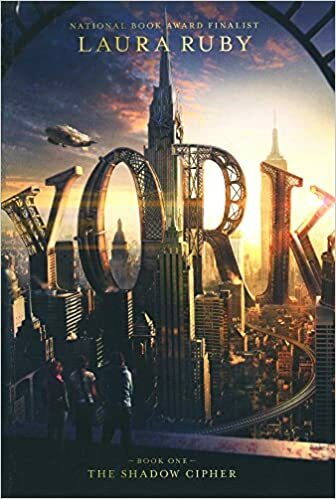 York will appeal to readers who like steampunk, mystery, magic, and history. The story starts out a little slow, but the mystery of the Old York Cipher lures the reader on. The Morningstarr twins, architects of dazzling machines and buildings in New York, disappear and leave behind a puzzle which promises a treasure beyond all imagining. Despite tries by many people over the decades, the cipher remains unsolved. A note here: the imaginative machines and inventions would make a wonderful movie on the big screen! Tess and Theo Biedermann and their friend Jaime Cruz live in a Morningstarr apartment. When a real estate developer buys the building with destruction in mind, the young people decide to save their home by proving the cipher is real. This means they have to solve the mystery. Written to appeal to younger and older readers alike, this story lacks the depth and literary beauty of Bone Gap. But then this is an entirely different book. Delighted with the fantastic world of York and curious about the cipher, I will definitely read Book Two when it comes out! Side note: If you enjoy magical realism stories, try Bronte’s Thunder! I’m super excited to share this prequel to my new YA book, Bronte’s Thunder. Strange connections to thunderstorms have always surrounded sixteen-year-old Bronte Monroe. Her grandmother claimed she was born under the sign of Blue Lightning and has the gift of barter—mysterious exchanges that change fate. A whoosh and a tock. Whoosh. Tock. My eyes flutter open to everything white and foreign with strange, pungent odors spinning around me. A clear tube runs to my face and into my nose. If I wasn’t so weak, I’d scream. The ventilator pumps like a medieval monster. I’ve never been in a hospital before. The only good thing about my captivity—at last, I can breathe. A figure appears in the doorway to my room. Backlit from a window across the hall, the dark silhouette pauses for a moment. He approaches the bed with stealthy footsteps. My heart races, the organ threatening to burst from my chest. All he has to do is rip the tube from my nose or yank the ventilator’s electrical cord from the outlet. I’ll stop breathing. I’ll die like his brother. I bolt up in bed, hot sweat beading my forehead like condensation on my mother’s glass of whiskey. The walls of my bedroom reassure me I am no longer in the hospital. I’m no longer eight years old. Dishes clang from downstairs, the familiar sound of Aunt Flo preparing breakfast. The slate sky outside the window does nothing to brighten my spirits. I rub sleep from my eyes and stretch my legs. Throwing back the covers, I wiggle my toes. Hot-pink polish brightens each nail. Today is my first day of school as a junior. Sitting on the edge of my mattress, I picture Nick Ford sneaking into my hospital room all those years ago, the image as vivid as yesterday’s junior orientation. At eight, I believed he intended to kill me. An eye for an eye. At my bedside, Nick extended his arm, and I cowered, convinced he’d strike me. He brushed an errant strand of hair from my eye, his touch as light as butterfly wings, surprising for an eight-year-old boy. Nick obeyed his mother and followed her from the room. In the doorway, he glanced over his shoulder. I couldn’t tell if I saw pity or disdain in his eyes. At that moment I morphed into a leper like in the Bible story told in Sunday school, flesh decaying, someone everyone stayed clear of. Worse than that, Nick’s little brother had been killed that day by my mother. For years Nick’s kindness in that hospital room baffled me. I finally gave up trying to understand it. Thunder Moon is a small town, and news travels fast. He must have heard I was admitted to the hospital. Yet how could he have been so caring when his little brother lay lifeless and cold? A year after Johnny’s death, the Fords moved away. Grief probably drove them from Thunder Moon. In my attic bedroom, a low roll of thunder rumbles through the rafters and sends shivers down my back. Thunderstorms never did me any favors, at least none that didn’t leave me feeling guilty. Two hours later, I stride through the halls of Thunder Moon High, a disturbing sense of unbalance hanging over me. Am I unhinged from the dream that morning and the memories the nightmare brought back? Maybe the threatening clouds on my way to school triggered my mood. Girls’ chatter in the high school restroom pricks my attention. I turn to stone behind the stall door. Riding a cloud of choking perfume, laughter fills the room. My stomach clenches. After all these years, I still can’t face Nick. Just the news that he moved back brings the horrible event to life. That was the day my mother disappeared. I remained behind to carry the shame of Johnny Ford’s death. My stomach turns sour. Maybe I can talk Aunt Flo into homeschooling me. Highly unlikely, my instincts warn. I hurry past the cliquish girls and escape into the hall. A hundred yards down the corridor, I turn a corner and run face to face into Nick Ford. His eyes widen. I almost don’t recognize the boy from the hospital room all those years ago, except for those smoky-blue eyes. How has that skinny little boy grown into such a good-looking guy? The girls were right. He is hot. On the other hand, he probably thinks I look as plain as an unbuttered pancake. I stand frozen. As I stare, the image of little Johnny Ford rises from all the nightmares I’ve had over the years. Johnny Ford, pale and dead, lips blue. The misty specter of Johnny haunting my dreams like in Dicken’s novel, his boney finger pointing at me, always pointing at me. I rush past him, lungs tight, membranes burning, once again unable to draw a breath. Farther down the hall, I gasp, air rushing in as I remember to breathe. Through the school’s cinderblock walls, a thunderclap sounds, the explosion a warning of things to come. Follow Bront e’s story in the new YA novel, Bronte’s Thunder. Bronte’s Thunder is Lucinda Stein’s second YA novel. Inkspell Publishing published her first YA book, Jadeite’s Journey. 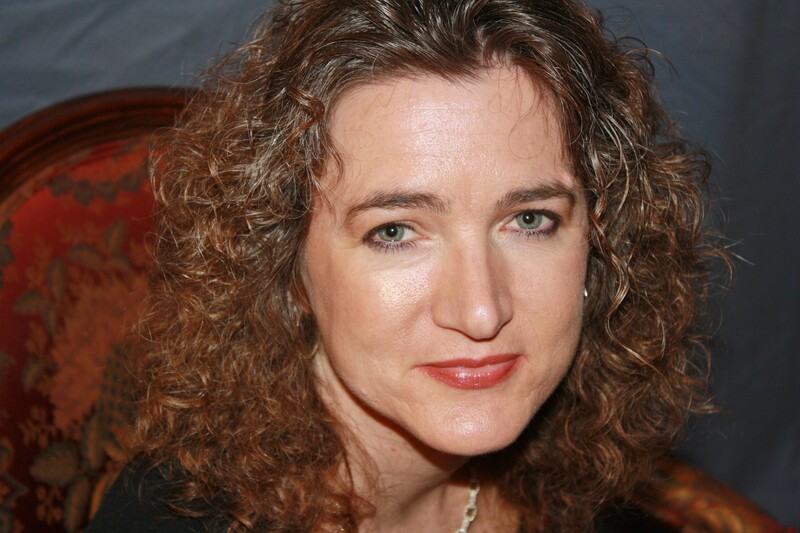 Lucinda is the award-winning author of several adult books. I just finished Laini Taylor’s Daughter of Smoke & Bone, and I loved it. The subject of angels and demons in itself is fascinating, but Taylor brings her own vision of these creatures into a full-bodied story. The book opens with a seemingly ordinary teen girl—despite her long peacock-blue hair—named Karou. Her wrists hold tattoos with the words true and story. An art student, her sketchbook is filled with strange, otherworldly creatures. Magic enters the picture when Karou handles a cheating boyfriend with some hilarious effects. No spoilers, you have to read it! Soon we learn Karou has another life when she enters a portal where the strange creatures of her sketchbook come to life. These creatures called chimaera contain parts of various animals. Some creatures have horns, some with human faces but animal legs and hooves. Some with wolf faces and claws, you get the idea. Humans would call them devils. Brimstone, the creature that took her in as a child, has human arms and torso but the haunches of a lion and the clawed feet of a lizard or dragon. He has horns and the eyes of a crocodile. Strange indeed! Even stranger is the mystery of why Brimstone collects teeth. Black handprints begin appearing on doorways across the world, and angel sighting are reported over the globe. Karou has an encounter with a magnificent angel who asks her who is she? What is she? This is a question that has plagued Karou for years. She has never felt completely whole. Karou finds herself attracted to the angel, but little does she know that an otherworldly war is about to being and she will be caught in the middle! 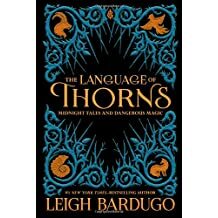 Taylor artfully introduces the character of Karou, just an ordinary girl (or so we think), and slowly draws the reader into her spectacular world building. At 418 pages, the book keeps the reader intrigued to the end. 5 stars to the Daughter of Smoke & Bone! Welcome to YA Scavenger Hunt! My name is Lucinda Stein and I’m your hostess for this leg of the tour. On this hunt, you not only get access to exclusive content from each author, you also get a clue for the hunt. Add up the clues, and you can enter for our prize–one lucky winner will receive one book from each author on the hunt in my team! But play fast: this contest (and all the exclusive bonus material) will only be online for 120 hours! Go to the YA Scavenger Hunt page to find out all about the hunt. There are SIX contests going on simultaneously, and you can enter one or all! I am a part of the PINK TEAM–but there is also a red team, a gold team, a green team, a purple team, and a pink team for a chance to win a whole different set of books! USA Today Best Selling Author currently hovering near the human city of Philadelphia. Eater of chocolate, chaser of aliens, writer of words. And don’t forget to enter the contest for a chance to win a ton of books by me, Lucinda Stein, Jennifer M. Eaton, and many more! To enter, you need to know that my favorite number is 3. Add up all the favorite numbers of the authors on the PINK team and you’ll have all the secret code to enter for the grand prize! Thanks for entering the contest & good luck! Have you ever read a book and knew you wanted to read it again? 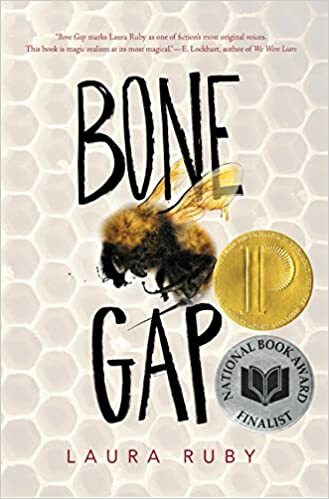 Bone Gap by Laura Ruby was one of my favorite reads in 2017. The story introduced me to the genre, magic realism, and I was hooked. I had checked the book out from the library and knew I liked the story enough to buy a hardcover copy! The book arrived with a Printz gold medal and a National Book Award finalist seal. Perhaps I read the book too quickly the first time, maybe the story is so unique, but as I read it a second time, I appreciated the book even more. 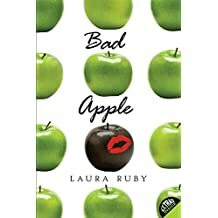 You’ll find Ruby’s writing as surprising, rich, and fascinating as her plot. People call Finn: Spaceman, Sidetrack, Moonface, Loner. Everyone in Bone Gap knows Finn is odd. He’s different. Finn and his older brother, Sean, live alone after their mother left them to marry a man out of state. But when a stranger arrives in their barn one night, their lives change. Beautiful Roza doesn’t tell them why she’s on the run or who hurt her. They take her into their home, and their loneliness fades as Roza becomes part of their life. Sean falls in love with her. But when a strange man kidnaps Roza at a county fair, Finn blames himself. He was the one who saw the stranger, but at the time, he thought Roza wanted to leave them, just like their mother did. Only when Roza looked back from the SUV, did Finn realize something was terribly wrong. Sean and Finn report her disappearance to the local law enforcement. But when Finn is unable to give physical details of the abductor, the townspeople wonder if Roza was truly kidnapped. Or worse, did Finn have something to do with her disappearance. Finn not only lost Roza that day, he lost his brother. Heartbroken, Sean withdraws into his work and ignores his younger brother. Finn’s guilt and loneliness makes him miserable until he starts spending time with Petey, a girl most people in town consider homely. That’s a brief summary of the story, but it’s the theme that makes this a great book. 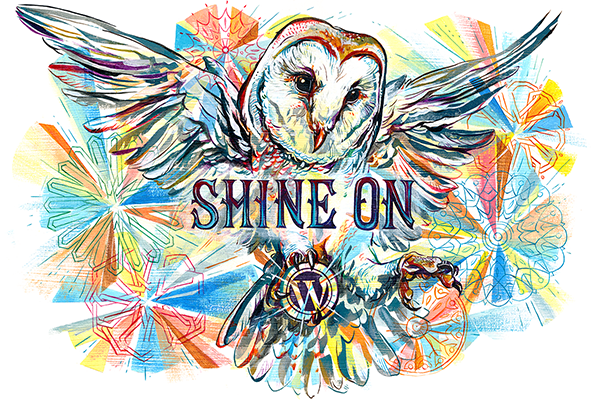 The theme is about people being “seen,” really seen for who they are inside. Petey knows how the people of Bone Gap talk about her. How can she be so homely when her mother is pretty? Only Finn really “sees” her. Finn falls in love with Petey because she sees him for who he is, not the odd boy everyone else knows. Sean falls in love with Roza but not just for her beauty. When he looks into her eyes, his gaze demands nothing, unlike the other men she’s known. It’s what’s inside her that draws him to her. Hints of magic scatter through the beginning of the story. It emerges further as Roza describes her captivity. The reader soon learns this is no ordinary man who has kidnapped her. The stranger is otherworldly. Magic also surfaces when a black horse appears in Finn’s barn. He takes Petey for rides late at night, and they travel through forests that don’t exist in Bone Gap and fly over cliffs that are not part of the natural terrain. You might wonder how the title of the book, Bone Gap, fits into the story. Hint: gaps in the world, places to lose yourself, slip into, retreat to. I won’t give any spoilers, but know that the ending blossoms into a powerful culmination of the theme. Ruby proves to be a fantastic writer and storyteller! A must read for young adults and adults. 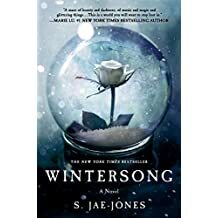 Based on German folklore, Wintersong is a fantasy twist on the beauty and the beast theme. This is an ambitious tale—436 pages—full of secrets, danger, and romance with a strong female protagonist. Liesel has heard stories about the Goblin King since early childhood. Dreams about the Goblin King. Warnings from her grandmother. Liesel’s grandmother, Constanze, firmly believes in the Goblin King though the rest of the family thinks she’s just a crazy old woman. Musical talent pervades Liesel’s family from her father down to her younger brother, Josef. Liesel loves to compose music for her talented brother, but long ago, her father discouraged her talent. She needed to be the dutiful daughter. Her skills couldn’t compare with Josef’s promising career as a violinist. One day in the village, she finds her sister, Käthe, staring—enchanted—by a tall stranger, strangely handsome and ugly at the same time. His beauty hurt. Liesel recognizes his face—Der Erlkönig, the Goblin King. She also finds herself strangely attracted to him but knows this is dangerous. She rescues her sister from the spell…but only temporarily. Liesel finds Käthe in the Underground, but her sister is obviously confused to who she is and why she is there. A trickle of blood, her sister’s nose bleeds. Liesel realizes time is limited if she is to bring her sister back alive. Liesel learns that the Goblin King’s abduction of brides affects the seasons above the earth. Without a bride, spring would not arrive and every trace of green would disappear on the earth. A bargain is made: Käthe’s life in exchange for Liesel. She must become his bride. Although the Goblin King was once a human, the goblins in the Underground prove to be spooky creatures. Black pupil-less eyes, claw-like hands, and a hunger for human life. Changelings and the Lorelei—beautiful feminine creatures—both dangerous, also live in the Underground. The Goblin King encourages Liesel, now his bride, to pursue her music. Also a musician, he recognizes her talent. Soon she realizes he not only loves her music, he loves her. Liesel discovers she is also in love with him. One day, a goblin informs Liesel that she will live only as long as people above ground love her. She will die once they forget her. Liesel realizes she misses her family. She wants to live. But can she escape the Goblin King and the Underground? Even worse, can she live without him? See my picture of Wintersong @lucindakstein on Instagram!